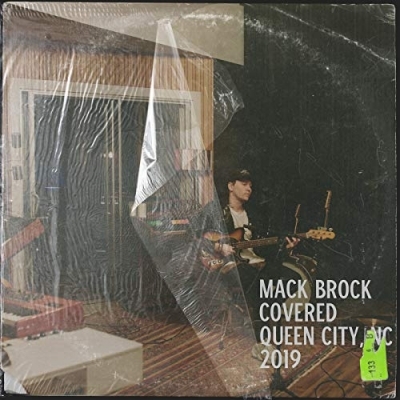 Worship leader Mack Brock has released his latest album, Covered, available now. Documenting the five-time Dove award nominee's own hopes, dreams, fears and anxieties in the midst of uncharted territory. Read More Worship leader Mack Brock has released his latest album, Covered, available now. Documenting the five-time Dove award nominee's own hopes, dreams, fears and anxieties in the midst of uncharted territory. This is an artist going from strength to strength. If you read my review of his solo album Greater Thing you will know I am a fan of his work. That album and those songs were raw and the difference here is this album is very much cleaner, and might I say it, more structured. Yet the honesty of the songwriting is still there in abundance. 'I Am Loved' is a truly stunning intimate worship song and it's that sound and style that goes on through out the EP. Hushed, acoustic and atmospheric intimate worship songs. Still In Control is epic. This EP has 5 very strong songs on it. I prefer Greater Things as a collection of songs, but can see these songs working amazingly on the Hillsong tour, where I am sure he will pick up so many new fans of his work.